A video posted online is melting people's hearts and inspiring love and happiness all over the internet. Many of us would wish to find ever-lasting love in our lives, to walk with our special someone and find perfection in the in the imperfect curves and edges that both the parties have embraced. But these obvious reflections are not just limited to the human race. A Twitter user posted a video that went viral earlier today. She claimed to have received the video from her aunt, who was on a trip to South Africa. The video is not short of 'awws' and 'so cute!' 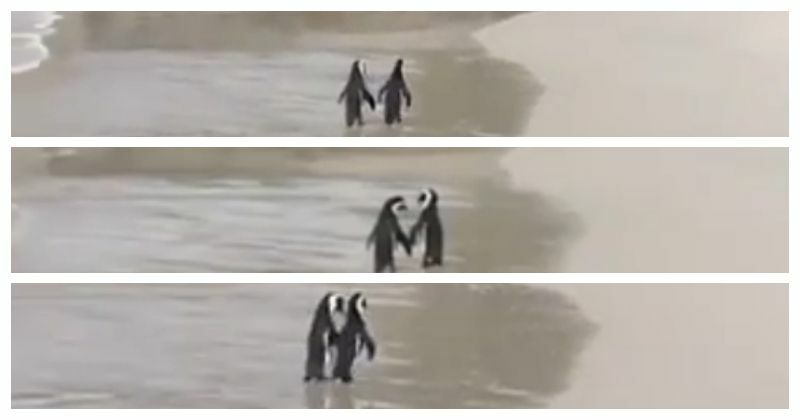 the cute penguins' organic expression of love and stability, a report by Metro confirms. 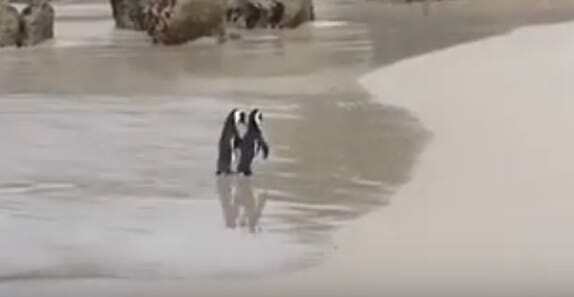 The video features a penguin couple in their leisure time. Though they are initially seen to be walking just randomly, the soon come closer and sync their walking pace. Their flippers start to touch as they waddle out of the sea, and they turn to each other before resuming their stroll. You brought a little bit a of fresh air and love to the Internet for a day. That’s a rad accomplishment, thank you! 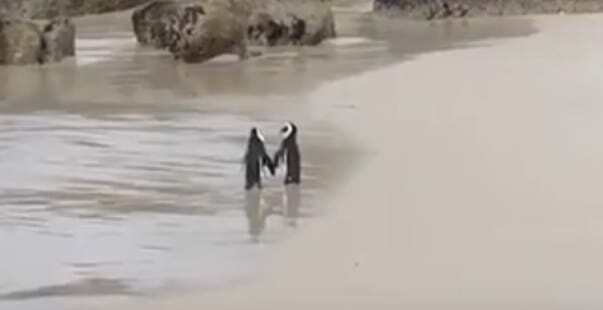 The penguin couple's video generated a lot of awe and positivity among the viewers on multiple social media platforms. The penguins are being considered a benchmark in couple goals as their movements are symbolic of love and companionship that most of romantics envision. Besides the heart-melting emotion that the video inspires, it also raised a lot of questions as people didn't expect penguins to be in Africa. Attention to the African penguin breed was paid a little later, which disillusioned the twitter populous of the penguins being limited to the Arctic. The African penguin breed is a species that is mainly prominent in the Southern African waters. They are called the Jackass penguin or the black-footed penguin. BBC nature states that colonies of black-footed penguins are mainly found between Nambia and South Africa. They spend most of their time at sea feeding o small fishes such as sardines. These penguins are also an endangered species.